Photos capture special moments during your big day! Since wedding photography is important, one option is the wedding photobooth. It’s very important to choose good wedding photography. Wedding photobooths are now gaining popularity. I can give you four good reasons why. First, wedding photobooths can be customized so you can incorporate your wedding theme with your wedding photobooth concept. 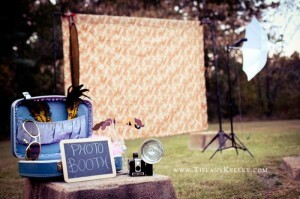 From modern backdrops to various photobooth props, you can make your wedding photobooth one of a kind. Second, the photos taken in the wedding photobooth can also be your wedding giveaway, your thank you card or your wedding invitation card. This could be cost effective for you without losing the wedding theme and your personal touch. Third, it’s fun to be candid. That’s the reason why more couples include wedding photobooths at their receptions. Wherein most wedding photography obliges you to act formal, you can be silly, at ease and be more of yourself with family and friends at a photobooth. Fourth, it’s not really hard for you to get one! If you want a wedding photobooth in your wedding and renting one will be a big cut on your budget, you can do it yourself. There are many ideas you can check out for inspiration from wedding websites, blogs and wedding magazines. If you want to try something new on your wedding, having a wedding photobooth should definitely be it. It’s addictive, creative and you can get more pros than cons.